Jazz singer, James Tormé, travels through time celebrating the greats in the Scott Recital Hall as part of the 1200 Club Series. Tormé adds a twist to the legendary singers of the ages as he Celebrates the Greats. With songs from Ella Fitzgerald, Ray Charles, Peggy Lee, Nat “King” Cole, Miles Davis, Frank Sinatra and, his father, Mel Tormé also known as, “The Velvet Fog.” This award-winning singer was born after his father met his British actress mother, Janette Scott in 1965 in a club called the Cool Elephant in London. This show draws from his parent’s story and is said to represent his past, present and future. From his life growing up to what it is like being on the road touring now and what is to come. 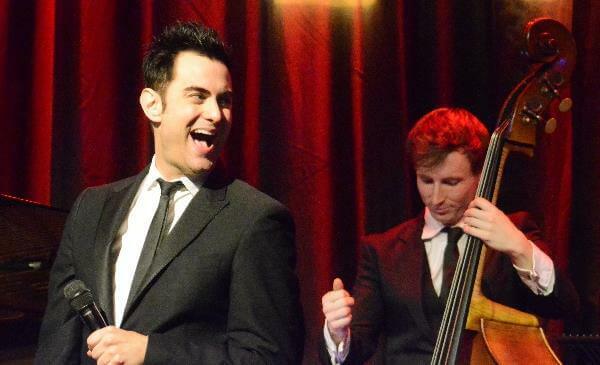 Tormé has performed with the BBC Concert Orchestra, Ronnie Scott’s Orchestra and Les Paul Trio. His 2011 debut album “Love for Sale” topped both the iTunes and Amazon Jazz Charts. During the performance the audience may enjoy hors d’oeuvres and cocktails served right to their candle-lit table.